Global Rail Australia and Dali Wireless have entered into a 4 year agreement to provide equipment and technical support services to VicTrack for their Metropolitan Mobile Radio (MMR) network, which includes safety critical equipment for the rail protection officers. Global Rail are delighted to enter into this exciting partnership with Dali Wireless and their foray into the Australian marketplace – we hope to build on this relationship. Dali Wireless Inc. is headquartered in Silicon Valley, USA and in Vancouver, Canada, and is a privately held company. Dali products are based on patented technology developed by a team of seasoned professionals with extensive knowledge and experience in wireless telecommunications. Dali‘s software configurable digital Distributed Antenna System (DAS) provides seamless mobile coverage and capacity for today’s high-speed voice and data wireless networks. Dali has a game-changing flexible DAS network architecture, resulting in exceptionally low total cost of ownership: simple installation, lower maintenance cost and seamless network upgrade and expansion. 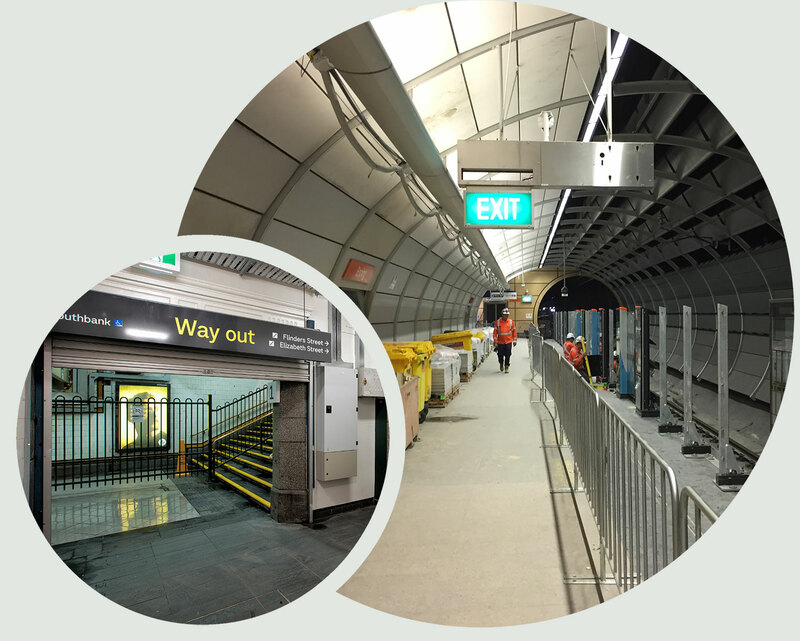 Global Rail Australia has been engaged to install the Communications Systems at Epping and Chatswood Station. The project is scheduled for completion in March 2019. Global Rail Australia has been working with Metro Trains Melbourne (MTM) since early 2013, we are delighted to have been awarded three further frameworks for Facilities Maintenance, Low Voltage Works and OCS – Electrical & Electrical Systems and Maintenance. We delighted to continue and build upon our well established relationship with MTM, with the addition of these new frameworks, which enables us to further extend and enhance the services we provide to MTM. Global Rail Australia has been awarded a three year framework with VLine to undertake Civil Engineering and Maintenance works across the VLine Network in Victoria. Global Rail Australia has been working with VLine for a number of years and have carried out diverse range of projects including bridge replacements, culvert installation, station upgrades and systems installation works. We are delighted to have secured this framework and look forward to growing our relationship with VLine, particularly at this exciting time for rail infrastructure projects in Victoria. We have been awarded a framework for the provision of Civil Engineering, Construction and Maintenance Services for the Australian Rail Track Corporation (ARTC). ARTC operates the largest freight Network in Australia with over 11,000Km of Freight Networks and are about to embark on a $9 Billion Dollar investment on the Network over the next 5 Years. Global Rail Australia are delighted to partner with ARTC in delivery of their exciting network improvement plans.